The past week has been so hectic with the run up to the craft fair and then the craft fair at the weekend. I had been sewing like a crazy woman. The craft fair was a two-day event so it was a loooong weekend. The floors in our flat were covered with bits of felt, thread, seed beads and sequins. So yesterday was spent hovering and dusting and tidying away the craft fair bits and bobs. After a craft fair I like to take a few days off from my usual crafts but being someone who can’t not do anything crafty I had to find something to do. One thing that has been neglected for a few weeks is my crochet. I taught myself to crochet about 2 years ago from watching You Tube videos. 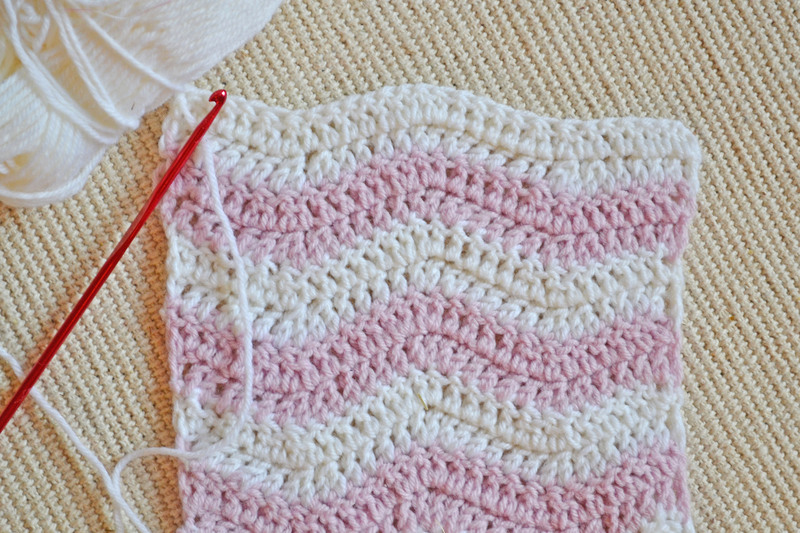 It was not the easiest thing to do being a leftie and watching it from a right-handed view but I was determined to make myself a granny blanket. It took me an entire weekend to master just one square. Two years on I have not been able to make anything other than a granny square, I’ve made four granny blankets now, and hub keeps saying to me can’t you learn a different stitch? The thing is the patterns have always terrified me and the abbreviations confused the hell out of me. 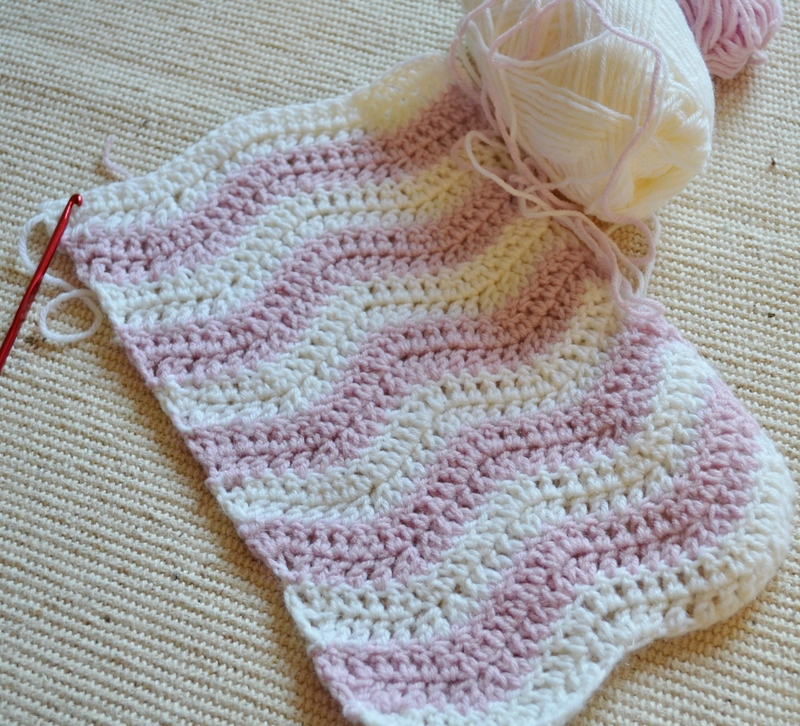 A while back I saw a chevron crochet pattern and thought it was lovely, I would have loved to have tried it but my fear took over. 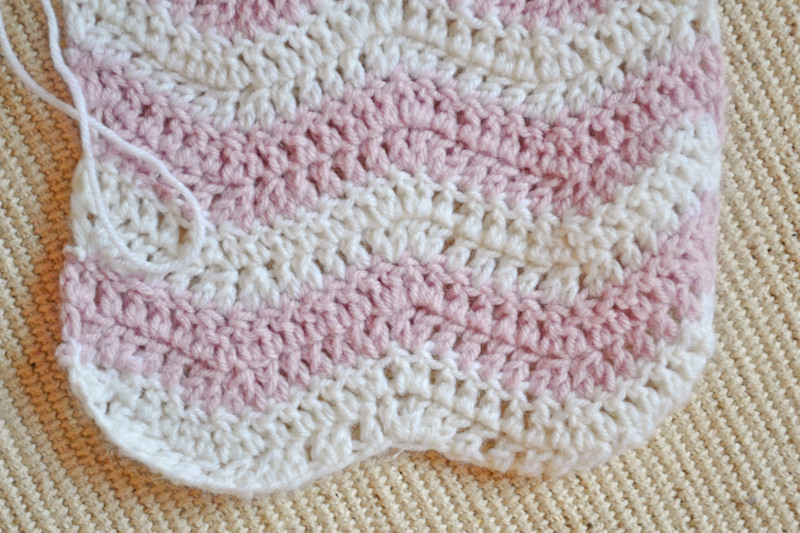 Well last night I was twiddling my thumbs and thought I would search a tutorial for the chevron pattern. After a bit of a search I came across blogger Attic 24 who had written a really good tutorial which was clear and easy to understand and plenty of pictures. If only more patterns were this easy to understand. She recommends doing a trial run to get any idea of the pattern before attempting something bigger like a blanket. So it was just 31 stitches and four rows. It’s more wavy than chevrons but I think it’s really pretty. But after the four rows instead of finishing off I decided to continue and make myself a scarf. I love that it has a wavy bottom too. I used a lovely soft baby bamboo dk wool and so its going to make a lovely soft and snuggly scarf. I’m sooo chuffed I have learnt something new and am really enjoying doing, I can’t wait to go out and by some wool to make a blanket. 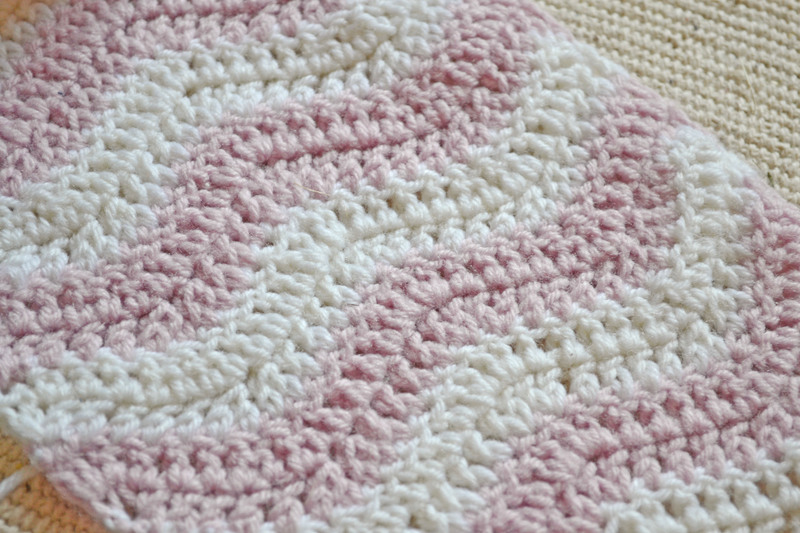 Here is the pattern, but I do recommend checking her blog out to see her great tutorial if your a bit of a beginner like me, it’ll explain what all the abbreviations are too. To begin, chain multiples of 14, plus 3 for turning. Repeat between ** ending last rep with 2 tr into last chain, turn. Repeat between ** ending last rep with 2 tr into the top chain of the chain-3 from previous row. Repeat row 2 for length required.